Here at Herts Garden Rooms we are a small company based in St Albans, Hertfordshire who provide garden rooms for all uses. Our business has been established for over 15 years, covering Herts, London and the surrounding areas. Our reputation for producing high quality garden rooms has mainly been built up through word of mouth referrals, maintaining customer satisfaction. Each project that we take on is uniquely tailored to the client’s requirements. We will take into account your needs and aspirations and deliver the perfect product to complement your home. 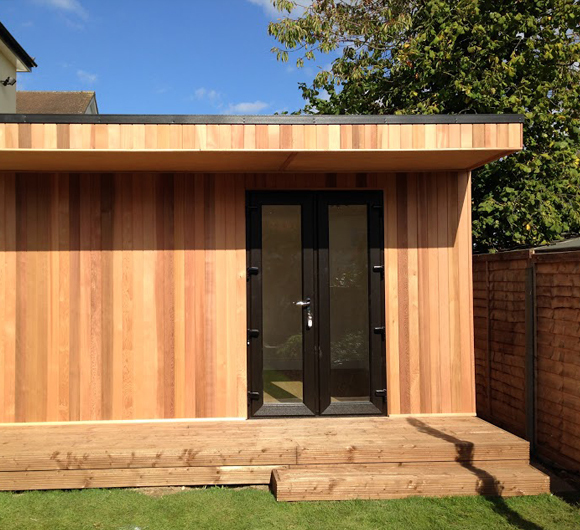 Our installation team are highly trained, qualified and experienced in all areas of construction and specialist installation of all types of garden rooms. Our service is highly personal, and we strive to build excellent relationships with our customers, working closely with you to take the project through from concept to completion. All our garden rooms are installed by the Herts Garden Room team. We do not employ subcontractors for any areas of the work and only use our own tradespeople with whom we have worked since our conception. Our installation policy is to ensure we minimise intrusion on your daily life whilst our team are on site in the construction phase.